Cheryl with the original participant profiles document from the CTOED workshop. The #CPT10 celebration today has a very special place in my heart as I was fortunate enough to be able to participate in the September 2007 workshop hosted by the Shuttleworth Foundation in Cape Town that brought into being the Cape Town Open Education Declaration (CTOED). It was an extraordinary meeting with open education luminaries such as Jimmy Wales, David Wiley, Rich Baraniuk, Lisa Petrides, Mark Horner and Werner Westermann as well as open access pundits, including Delia Browne and my colleague Eve Gray. What strikes me, 10 years later, is the forward thinking that informed the Declaration. It was concerned not only with Open Educational Resources (OER), but with what we now call Open Educational Practices (OEP), activities rooted in the open technologies and policies that make sharing possible. 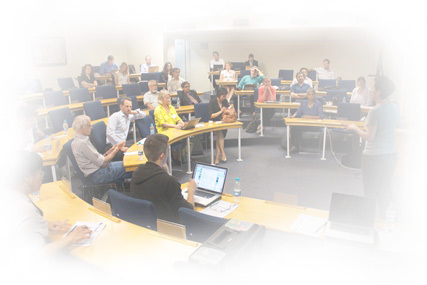 At the time, I was the Project Manager of the OpeningScholarship project which investigated the opportunities that digital technologies offered the University of Cape Town (UCT) with respect to scholarly publications, and teaching and learning materials for students, lecturers and the broader community. This Shuttleworth-funded project eventually led to further funding for the development of UCT Open Educational Resources project (also funded by the Shuttleworth Foundation), which led to the establishment of Open Content, a portal for accessing UCT OER and the precursor of the more encompassing Open UCT repository, which hosts both OER and open access publications produced by UCT academics and students. As a result of my involvement in these projects, I was invited to be part of a planning committee for a new OER project funded by the Canadian International Development Research Centre (IDRC), initially led by Prof. Raj Dhanarajan from Wawasan Open University in Malaysia. I was then approached by the IDRC to take over the reins as the principal investigator of what became the Research on Open Educational Resources for Development (ROER4D) in the Global South project. 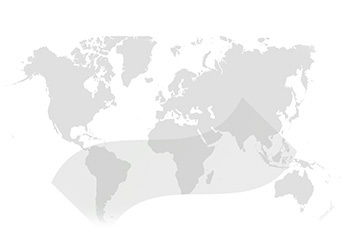 ROER4D was a network of 18 independent research projects focusing on the adoption and impact of OER in selected countries in South America, Sub-Saharan Africa and South and Southeast Asia. Comprising over 100 researchers and research assistants, this project produced numerous outputs including 12 journal articles, 15 videos, 80 conference presentations, five keynote presentations, 63 blog posts and one open, regularly updated bibliography. In an attempt to “walk our open talk”, we also shared six open data sets. Most recently, in December 2017, ROER4D concluded with the publication of the capstone to its research effort, an open access 16 chapter edited volume entitled Adoption and Impact of OER in the Global South. So it is with deep appreciation that I reflect on the strategic vision of those who crafted the CTOED and the support of the Open Society Institute (now the Open Society Foundations) and the Shuttleworth Foundation. The CTOED has proved to be a touchstone for Open Education for the last decade and I believe it will continue to rally global support for working towards achieving equitable and affordable access to good quality education for all learners, particularly those in the Global South.